Sapal is one of the many by-products of coconut. 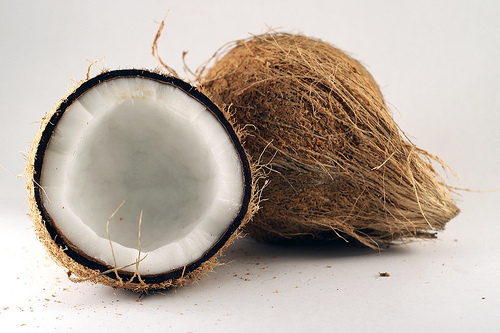 It is the coconut meat left after extracting the milk and it is rich in dietary fiber. • Sift flour and baking powder together and set aside. • Add flour mixture alternately with vanilla and sepal, beginning and ending with the flour. • Form into desired shapes. • Bake at moderate heat for 10-15 minutes. Source: Rita T. dela Cruz. Coconut flour from sapal; cheap and nutritious. Bar Chronicle. September 2003 Issue (Vol. 4 No. 10).